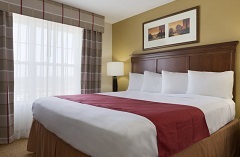 Save up to 18% on a three-night stay in Georgetown, KY! We want to welcome you to the Country Inn & Suites® by Radisson, Georgetown, KY. Our hotel is conveniently located just off I-75 and two miles from Georgetown College. Book now and save 18% on a three-night stay!